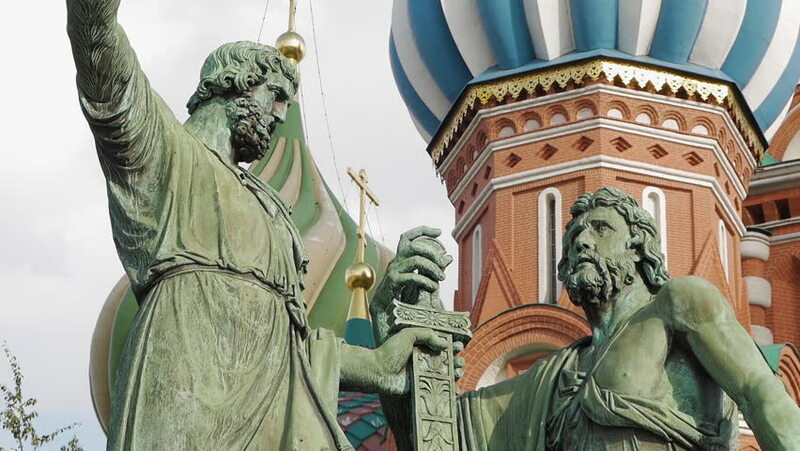 Close up shot of Minin and Pozharsky monument in front of colorful domes and other fragments of St Basil's Cathedral on Red Square near Kremlin. It's the major landmark in Moscow, Russia. 4k00:15A monument in front of the Hotel de Ville, also the City Hall of Paris. Shot in 4K (ultra-high definition (UHD)). hd00:12Italy - October, 2012: A shot of a statue of Caesar with buildings in Rome Italy in the background. sd00:06Fountain, designed by Jacques-Ignace Hittorff on Place Concorde. Place de la Concorde is one of major public squares in Paris, measuring 8.64 hectare. hd00:22Rome,Italy-circa 2012: Trevi Fountain is a fountain in the Trevi district in Rome, Italy and is the largest Baroque fountain in the city and one of the most famous fountains in the world.